We are calling on the nation to be a bit more Yorkshire this week to celebrate Yorkshire Day on 1st August. Yorkshire people were voted the “happiest in Britain” according to a survey by Mintel, so Little Valley is encouraging people from all over the country to embrace their inner Yorkshire man (or woman) and celebrate the birthplace of the Bronte sisters, Jessica Ennis and, of course, Alan Titchmarsh. What’s more, in the 2012 Olympics, if Yorkshire was a country it would have come eleventh in the medals table, the county boasts the city of Hull, which will be City of Culture in 2017 and it’s beautiful scenery varies from the North Yorkshire Moors, to the Whitby coastline, the Yorkshire Wolds and the Dales. Little Valley Brewery itself is located just off England’s longest continuous hill climb, home of the Tour de France 2014. Celebrated on the 1st August, Yorkshire Day sees the nation’s largest county come together to show its regional pride and celebrate what is so great about Yorkshire. Cragg Vale Bitter (ABV 4.2%) matched with roast beef and Yorkshire pudding More robust flavours need a hardier beer. 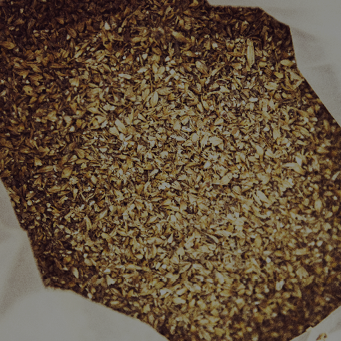 The malty, backbone of this bitter will work well with the Yorkshire pudding whilst the fuller flavours and fruity hops will play nicely with the stronger flavour of the beef. 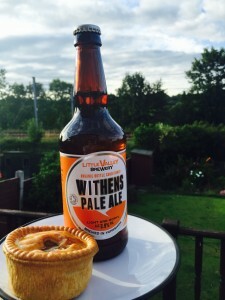 Withens Pale Ale (ABV 3.9%) matched with pork pie The nutty and biscuit-y malt base of this pale ale complements the buttery pork pie crust whilst fruity, citrus hops enhance and cut through the richness of the filling. Ginger Pale Ale (ABV 4.0%) matched with parkin The light, fruity flavours in the beer refresh the pallet whilst the spicy, ginger flavour complements the traditional ginger flavours of the parkin. Vanilla Porter (ABV 4.5%) matched with rhubarb crumble The tartness of the rhubarb provides a beautiful contrast to the bitter, nutty, caramel and vanilla sweetness of this gorgeous, dark porter. Stage Winner (ABV 3.5%) matched with pikelet This light, floral and refreshing pale ale pairs well with the buttery tasting pikelet. 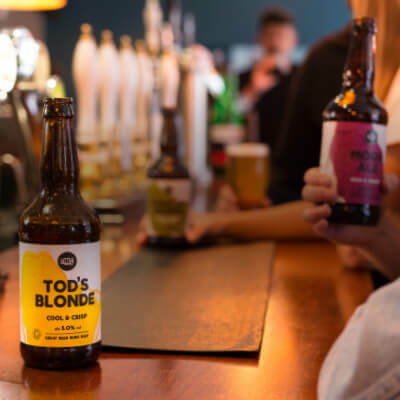 Tod’s Blonde (ABV 5.0%) matched with fish and chips (served with scraps!) Rich, golden, battered fish needs a more robust, golden beer. Here the gentle, spicy and citrus hops of this blonde beer will also cut through the oiliness of the fish to lift the dish. Stoodley Stout (ABV 4.8%) matched with Terry’s Chocolate Orange Stout and chocolate are the perfect beer and food combination but here the added orange twist will perfectly match the rich, bitter coffee notes of this fantastic Yorkshire stout. Hebden’s Wheat (ABV 4.5%) matched with curd tart Lemony, curd tart is just crying out for the gentle, refreshing spicy, lemon and banana flavours of a classic wheat beer, which are delivered in spades by this fantastic Yorkshire interpretation of a Belgian classic! Moor Ale (ABV 5.5%) matched with stew and dumplings A deep, complex dish requires a dark, mysterious beer. The dark, fruity and 3full-bodied flavours of Moor Ale sit perfectly alongside the warming, rich flavours of the stew to create the perfect comfort food! Python IPA (ABV 6.0%) matched with Barnsley chop Rich and fatty lamb and juicy, bitter hops are the perfect combination and none more so than with the marriage of a big, succulent Barnsley chop and the massive, warm and fruity flavours of a traditional IPA. Yorkshire Day is always a huge celebration regionally, but we wanted to share our passion for the county with the entire nation! 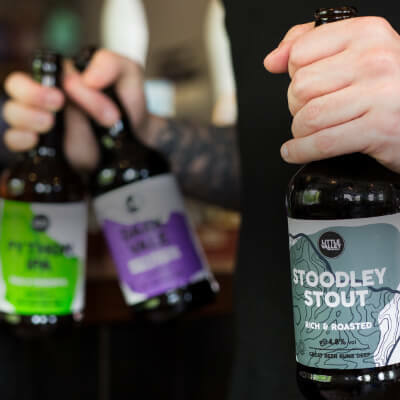 Food and beer matching is becoming increasingly popular and with beer sales on the up for the first time in a decade, we thought this would be a great opportunity to showcase the fantastic cuisine Yorkshire has to offer and the beers that go with it. Let us know if you’ve tried any of our beers with these tradition Yorkshire dishes!